Why have the tech buses invaded San Francisco? Oh boy. There is no easy answer to this question, but protests in front of buses are certainly not going to solve the problem because it’s a problem that goes beyond the boundaries of the City of San Francisco. Saying that tech companies owe a billion dollars for doing curbside pickup are completely ignoring reality and making themselves look as out of touch as Ed Lee. Street usage fees paid on the same basis as curbside parking would make sense as would some more restrictions on vehicle size for some areas where double-decker buses don’t really fit. Anyway, the buses are not really a problem- they are a symptom of much larger local and state government dysfunction, which is where peoples’ anger should really be directed. Google, for one, would love to build housing near its campus in Mountain View. They have tried to get it permitted and it has been rejected, while at the same time the city has approved additional office space. In fact, the city of Mountain View expressly forbade housing in its citywide general plan for the area around the Bayshore Campus. This would have put large numbers of Google employees walking distance from work, while also providing a walkable neighborhood near a light rail station. Google has also started investing in affordable housing, including one project in Mountain View, but unfortunately it’s only 51 units. The truth is that suburban communities don’t want to build more housing, and Prop 13 gives existing owners little reason to care about increasing housing prices. Additionally, many communities set limits for vehicular traffic that employers need to comply with as part of transportation management plans. Aside from being a recruiting tool, company shuttles are the primary way of complying with these regulations. Why not subsidize existing transit? For most people public transit to the peninsula is incredibly time-consuming, and it also lacks the capacity to take that many additional riders. Caltrain will be upgrading in the coming years with high speed rail funds, but that is still a ways off. Why didn’t all those tech companies just get offices in San Francisco? Aside from the fact that a lot of their employees still live on the peninsula or in the South Bay, there isn’t enough office space in San Francisco to accommodate them. San Francisco currently has the lowest office vacancy rate in the United States and it doesn’t have room for 15,000 Google employees to relocate north. Office space construction was severely limited in the 1980s over concerns of Manhattanization, and this has only recently changed as development has been permitted south of Market Street downtown. I’m not sure we’d be that much better off from a housing perspective if Facebook, Google and Apple were all located in downtown San Francisco, though it would remove the need for shuttle buses (Google’s downtown San Francisco office on the Embarcadero is already very popular with Google employees, most of whom bike or take transit to work). There is no easy solution to these problems, but a total lack of coordination between municipalities with different priorities is the crux of the problem. Maybe the protests should move to the suburban communities that don’t want to allow rental housing construction? Posted on December 20, 2013 December 20, 2013 Categories housing, news, politics, San Francisco12 Comments on Why have the tech buses invaded San Francisco? My posts on housing costs have gained a lot of attention in the last week or two, and there have been a lot of comments. I decided to respond to Peter Cohen’s comments in this post, because his comments are similar to others I have heard on Twitter and elsewhere from people in the housing advocacy and progressive community in San Francisco. Peter is the Executive Director of the Council of Community Housing Organizations in San Francisco. His comments are in italics. Your calculations of cost for producing a 800-s.f. housing unit are revealing (previous blog post), and clearly demonstrate that even at most stripped down expenses and minimum developer and equity-investor IRRs, typical market rate housing in SF simply can’t be made affordable to middle-income residents. If you subtract the cost of the BMR subsidy out, most of the other numbers look exactly the same for building subsidized affordable housing units (and in reality affordable housing projects often cost more because of increased common area requirements and larger accessible facilities). This means that if we cut the cost of construction by 30% we could potentially build 30% more affordable units with the same pot of money. I should also point out that those costs accurately reflect a 640 square foot unit once building efficiency is accounted for, which I updated in a later post. However, you still then advocate for de-regulation as the primary “solutions” for the structural unaffordability of SF real estate — streamlining the public process for entitlements, eliminating the share of responsibility for affordable housing on developers, upzoning without extracting public benefits. These proposals may be beneficial for market rate developers, but they will do nothing to increase affordable housing or housing affordability. How will they do nothing for housing affordability? If we actually built a sustained amount of housing, affordability would be improved over time. Supply and demand exists, even in San Francisco. If you don’t believe it, look what happened in the early 2000s when the last tech bubble crashed: rental housing prices dropped over 40% when demand dropped. Market rate housing being built now will be with us for a long time, and the more we can build now the better. When the economy isn’t as good, we will still have that housing in the market. The way we produce affordable housing in this high-priced real estate town is through locally funded housing development for low and very-low income residents and through developer requirements to contribute middle-income “inclusionary” housing in their market-rate projects. That’s pretty much it. The irony is that the beautiful picture at the top of this blog post is of Richardson Apartments which is a 100% affordable project by Community Housing Partnership that serves formerly homeless residents. I’m glad you are proud to display such an attractive and successful housing project, but using that image to headline an article arguing for de-regulation and incentives to build more market-rate housing is, at minimum, an odd juxtaposition. I am very familiar with Richardson Apartments, I was working at David Baker’s office while it was being designed and built and I have visited it several times and know about the funding process and the demographics of the residents. I am completely in favor of building housing for formerly homeless people, but I also believe that building much more market rate housing should be a goal for the city. Increasing housing supply in a time of increased demand has little downside- especially since increased market rate development means more money for affordable housing and more tax revenue for the city. Also, it may be a small point, but the majority of the post was not about de-regulation (“find other ways to fund subsidized affordable housing” was the last item on a list of 7). You are also incorrect in statement that “the affordable housing requirement for new construction is the biggest source of affordable units.” The inclusionary requirement is but a portion of local resources for affordable housing, and moreover and most importantly, the inclusionary requirement on market rate projects is intended to compel developers to build the units on-site as mixed-income housing, it is not at all intended as an in-lieu fee program (unfortunately that is how developers treat it–just another check to write to the City rather than seeing their role in being able to actually produce affordable units for middle income people). In the previous paragraph you argued that affordable housing was produced “through developer requirements to contribute middle-income “inclusionary” housing in their market-rate projects. That’s pretty much it... ” but now you’re saying I’m incorrect when I make the same assertion? Fees from market rate construction are the biggest source if I am reading this presentation given by the Mayor’s Office of Housing correctly. Luckily, Proposition C passed last year (which you and I both worked on together) so that will help replace the portion that has disappeared with the elimination of the Redevelopment Agencies and will create a fund of approximately $50 million/year once it is fully implemented. I know that on-site inclusionary housing is a goal for many housing advocates, but I am not convinced it is necessarily any better than off-site BMR units. One of the biggest complaints I have heard from BMR buyers is that the market rate owners in that the building don’t mind expensive HOA dues and vote to increase them without caring whether or not the owners of the affordable units can pay for them. It is a small city, I just want to see housing built somewhere. It is great that you have creative ideas for market rate housing–prefab, construction technology, small units, zero-parking, etc. Architects are the creative thinkers about the built environment and typologies of housing. But it is a different agenda when these interesting ideas masquerade as “solutions” for affordable housing needs. These are simply new ideas for market rate housing, and market rate housing is very expensive both to build (as you have demonstrated) and to buy/rent. It is unfortunate that you see the need to challenge and undermine current public policy in laying out your ideas for how market rate developers can build cheaper urban housing. In my mind our currenet public policy efforts to produce “affordable” housing in San Francisco have been a dismal failure for middle-income people seeing as we now live in the most expensive city in the United States, even edging out New York. Seattle has seen a similar boom in high tech jobs, but has also done a great deal more to encourage market rate housing production, and they have seen a lower increase in housing costs than San Francisco by addressing demand (they still make the list of the ten most expensive cities, but the average studio apartment there is about $1,000 cheaper). Subsidies are not going to solve this housing market, especially for people making near the median income. A combination of subsidized housing, particularly for low and very-low income people, and a sustained boom in housing construction would do a lot more that our current system. I would love to hear additional ideas for funding subsidized affordable housing, it doesn’t have to be an either/or with market rate housing. If we think affordable housing is important, why not levy a progressive city income tax that diverts money to the Mayor’s Office of Housing which could be used to fund future affordable housing development? Why not tear down I-280 and put the land into a housing trust to eliminate the land cost from the construction proforma? Better and cheaper regional transportation would also make housing cheaper, as people could choose to live in cheaper housing further away from where they work. How about re-inventing the housing authority and building government-owned rental housing that would be open to anyone with monthly rent charged based on income (common in some other countries)? Making home buyers shoulder most of the cost of the BMR program does not make sense to me, and it makes market-rate housing more expensive. It produces too few units for middle income people and it is only marginally better financially (if at all) for many people than renting a rent-controlled apartment. I challenge current public policy because I don’t think it is working for a large part of our city’s population. At least part of the solution for addressing our housing shortage has to come from the market. A person making $70,000 a year would just be able to qualify under the limit for this unit (the cutoff is at $70,850), yet it would cost $27,552 a year to live in it- nearly 40% of the buyer’s income! This is to own a unit that needs to be sold back to another BMR buyer, meaning the amount you can sell it for tracks inflation. Your downpayment, which could have been invested in a more lucrative investment for retirement, is also tied in to essentially tracking inflation of the duration of ownership. If you rented a market rate apartment for that same price (yes, it’s still possible in my neighborhood) you would be protected by rent control, you would have more flexibility if you needed to move, and you would also not have to tie up your savings in a non-investment. I looked in to buying a BMR unit myself two years ago and once I ran those numbers, why bother? Curran House typical upper floor plan by David Baker Architects. Housing units are shown in blue. 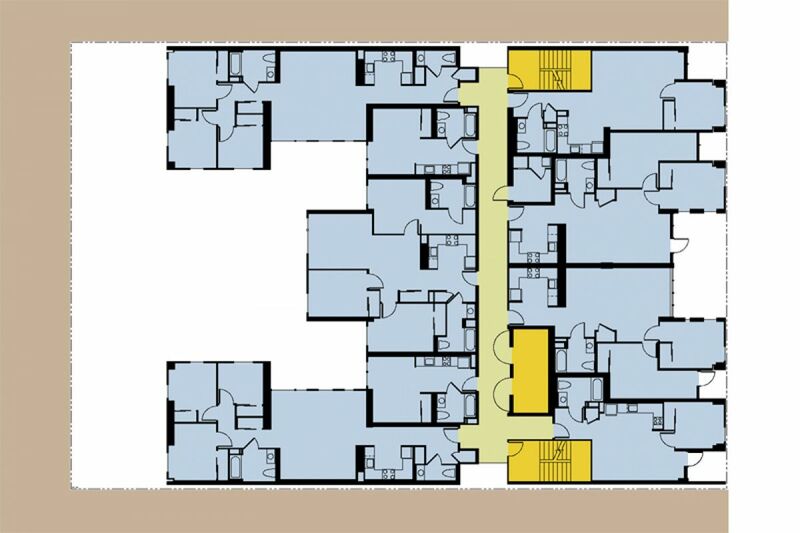 One thing, if the 800 Square foot is cost for the building overall the apartment size you are talking about is more like 640 (SF), Excluding corridors, stairs, etc. This is exactly right- the units do not make up the entire building. 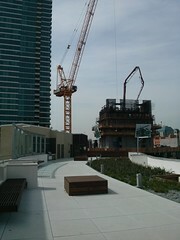 Once space is subtracted for elevators, http://cheapdiazepamonline.com lobbies, mechanical equipment rooms, stairs and all of the other things that are necessary to make a building work, the building is usually only about 80% (or less) efficient- the percentage being what portion of the whole is comprised of the housing units. Efficiency is a big factor on urban sites because there is often little freedom to optimize the dimensions of the building to fit the most number of units into the boundaries of the site while also staying under the height limits set in the planning code. Additionally, there are many code requirements regarding firefighter access and separation distances that further constrain the design. How can we build cheaper urban housing? Prefabrication – Most large projects already take advantage of this to some degree. Many contractors pre-frame wood walls in a factory and crane them in to place on site, and things like roof trusses are typically factory made as well. These things can improve the project schedule, which saves money. Prefabricating entire units is possible too- Zeta Communities is a local company that is doing exactly that. They build entire rooms in a factory and crane them into place on site. SmartSpace in SoMA took advantage of this system and is being called the “first prefab micro housing project in the US.” Still, this is a system that only works on particular sites. It limits design freedom on difficult sites which can often result in fitting fewer units on a constrained parcel. It is often easier to use these systems on small sites, but I don’t think it’s going to reduce construction cost enough to make a huge difference. 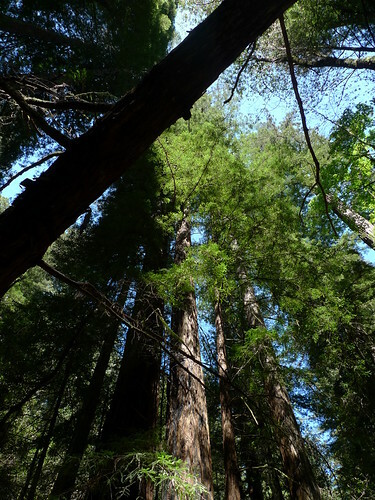 New Construction Technology – Cross Laminated Timber could reduce costs and construction time. Basically, it’s huge sheets of laminated wood that are cut out in a factory and assembled on site. This technology has already been in use in Europe for a few years and is coming to North America via Canadian manufacturers. Check out Murray Grove in London by Waugh Thistleton Architects. Smaller Units – San Francisco recently legalized a trial period for microunits, which are apartments that are smaller that what was previously allowed in city regulations. My example in the previous post was an 800 square foot apartment, which is an average size, but you could go a lot smaller (I’ve lived in a place that was a LOT smaller than that myself). Cost per square foot goes up as size goes down- it’s a result of having more bathrooms and kitchens in the same building, but it does create cheaper apartments. I personally don’t think there should be a legal minimum size for residences as long as there are no safety issues- if somebody wants to rent it, that’s their decision. For a lot of people, living in a very small apartment alone is preferable to having roommates. SROs –Martha Bridegam and I had a chat about these on twitter. There used to be a lot of Single Room Occupancy hotels in San Francisco. There still are some in the Mission and in the Tenderloin (with a sprinkling elsewhere) but they are traditionally where single people people at the lower end of the economic spectrum were able to afford to live. They provided a huge source of affordable housing and kept many people off the streets, and the remaining ones still fill this role. Unfortunately, many of these units were removed from the city when they were declared to be blight during the Urban Renewal era. Yerba Buena gardens stands where many low-income people used to live (they were clustered between the old train depot and Market Street in SoMA). UC Berkeley professor Paul Groth wrote a book http://www.onlinepharmacytabs.com/anti-spasmodics.html titled Living Downtown that I recommend reading that discusses the history of this type of housing. Providing incentives for developers to build modern SRO-type housing in San Francisco (yes, even with shared bathrooms) might be a good way to create non-luxury housing that lower income people and young people on limited budgets would be able to afford. These type of buildings, built without parking and near transit, could be a good way to provide more market-rate affordable housing. I know some people object to this type of development, but it is very similar to a roommate situation and could be equally affordable. It also would not put people renting rooms at the whims of the master tenant, which is often a bad situation. No/Limited Parking – San Francisco already has just about the most progressive planning code in the US when it comes to parking. It already sets parking maximums that are below 1:1 (i.e. one space per unit) as opposed to most cities that have parking minimums. 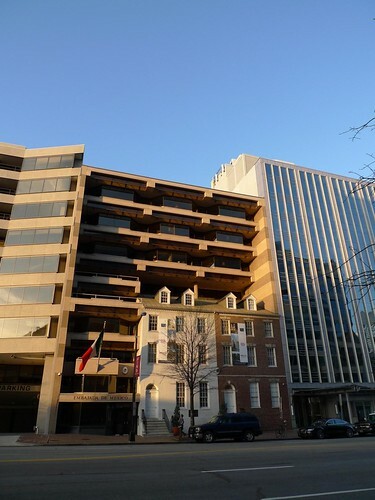 It also now requires unbundled parking so people buying a condo unit can decide whether or not to purchase a space, which can reduce the cost of buying significantly. Parking spaces cost A LOT. Tens of thousands of dollars each to build, and they are doubly expensive if they are built underground because the cost of building a basement in an urban area is astronomical (most new residential buildings in SF do not have basements unless there is an underground garage). Identifying areas to zone for “no parking” might be a good option for creating more affordable housing, although neighborhood groups are very likely to oppose this. Developers often are forced to add additional parking during the planning process to appease neighbors. Increasing Height Limits to Increase Density – height limits are set for every part of a city. This is in the planning code and is available online in most places (San Francisco has lots of online maps). Even slightly taller buildings would allow for more density – there are parts of the city where a few more feet would mean one extra floor. This would be a good way to create more units without changing neighborhoods drastically. However, land is usually priced based on how many units fit within the zoning. If parcels are upzoned, expect the price to increase as well. Generally, the increased density still outweighs the penalty of the slightly higher land cost. 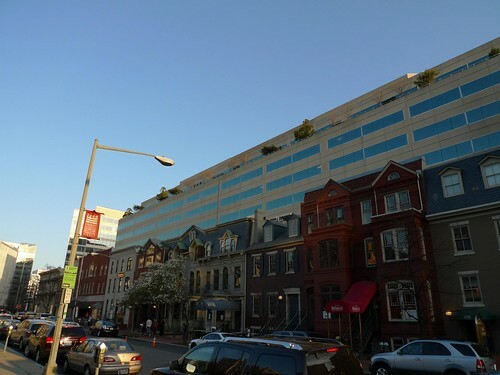 Find Other Ways to Fund Subsidized Affordable Housing – the current method of funding BMR units per project puts a big cost burden on the selling price of new units, and is a disincentive to building housing when the market is less-than-booming. There are not many other ways to fund development though, so I’m not sure what this would look like- I would love to hear ideas. With the death of the Redevelopment Agencies at the hands of Governor Brown, California is not handing out money for housing. Prop C, which passed in 2012, created a fund for affordable housing last year but it isn’t funded yet. Currently the affordable housing requirement for new construction is the biggest source of affordable units. Posted on October 25, 2013 December 22, 2013 Categories Architecture, housing, politics, San Francisco9 Comments on How can we build cheaper urban housing? This is VERY SIMPLIFIED and does not include construction financing expenses, contingencies, or developer’s profit, among other things, and on projects that are difficult to get permitted the cost could skyrocket. Google around for sample proformas if you want to get a better idea of project costs. You’re looking at nearly half a million dollars for an 800 square foot apartment, and that is not even including all the costs that would actually go into a project like this. This is not affordable at all when the median household income is $73,000 in San Francisco, which qualifies for a $310,000 mortgage (play with the numbers here). How could we bring this down? A clearer entitlements process could bring down the $48,000 figure for permitting/fees/professional services significantly. Remember, this number could easily be $100,000 on some projects. Finding another way to fund the BMR program would reduce the $27,000 subsidy, although arguably the BMR program would be unnecessary if market rate housing were cheaper. Lower real estate prices would mean construction costs would be lower. The cost of expensive San Francisco labor (construction workers have to deal with the high cost of living too) is a big part of that $300/SF figure and real estate cost also factors into the cost of storing materials and construction staging. An easier entitlements process would also mean that there would be more sites available for development, which would presumably drive the cost of land down. 1. This might even be a bit low now, costs are escalating quickly right now. Most of the construction cost goes into things like the structure, foundation and HVAC systems, elevators etc. not the finishes, so the construction cost per square foot is similar across different segments of the market. 2. The Mayor’s Office of Housing handles these sales, you can see what is for sale now here: http://sf-moh.org/index.aspx?page=299 Alternately, a developer can choose to pay a fee to the Mayor’s Office of Housing which will pay for affordable housing elsewhere in the city. 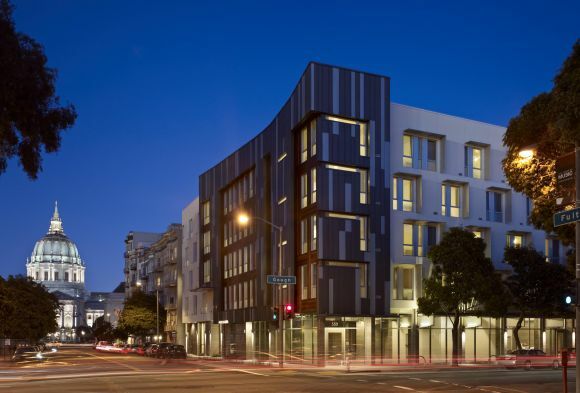 These projects are typically built by a nonprofit like Bridge Housing or the Tenderloin Neighborhood Development Corporation. The theme of the U.S. Pavilion at the Venice Architecture Biennale this year is “Spontaneous Interventions: Design Actions for the Common Good.” Cathy Lang Ho, who helped to select the participants, discusses the criteria and the approach in this article over at the Architect Magazine site. This is hardly the first post about spontaneous or “pop-up” urbanism. In fact, you can hardly get away from it if you read architecture or planning blogs. We are constantly being told that we have to do more with less and civic improvements need to be quicker, faster and cheaper. The parklet movement has roots in both San Francisco and New York City, places with two of the world’s largest and most grand civic parks built with public funds for the benefits of their citizens. Many of the greatest public works projects in U.S. history, like the Hoover Dam and most of the U.S. National Parks System, were constructed during the great depression . Today Apple sits on a pile of money big enough to bail out a European economy while California cuts school bus service and reduces funding for public universities to levels unthinkable a few years ago. How is the profession fighting back? 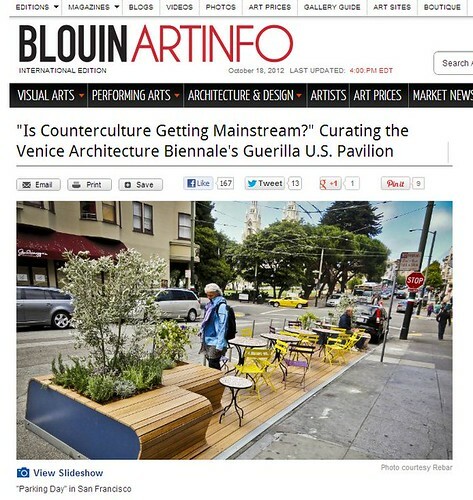 Architects are responding to the outrageous prioritization of the wealthy over the many by donating their time to the “common good” via vanity projects that allow tech workers to set up their MacBooks on brand new privately-funded outdoor patios in San Francisco’s most gentrified neighborhoods. Great. It’s not that there is inherently anything wrong with parklets or pop-up urbanism in a general sense. There are actually some benefits. Let’s not kid ourselves, however- this is NOT ‘Guerrilla Urbanism.’ Perhaps I don’t http://purchasepropecia.net know exactly what this term means, but I know it’s not what is depicted in the image above. The Critical Mass bicycle ride comes much closer to Guerrilla Urbanism than designing patio seating for a coffee shop, and even that is a stretch. Another exhibit in the Biennale comes closer to the true spirit of working for the common good, that is the OMA-curated exhibit titled “Public Works: Architecture by Civil Servants.” Exhibiting the work done by mostly anonymous public employees around Europe in the 1970s, the show glorifies work that was done for the good of society by people who would never see their own names on the drawings. OMA shows what it means to actually prioritize the mass public of society via investment in the common good- rather than looking at government as a problem, the ‘other,’ or something that needs to be tamed, government is part of the solution for a better world. Architects have very little power (less power than anyone involved except for the architecture critics themselves). It is hard to figure out how to respond to a society that has become increasingly weighted towards those at the top at the expense of the entire idea of ‘society.’ Doing things for your local community is a part of the solution. However, donating your services so a for-profit business can have more seating is not on par with helping Habitat for Humanity build houses for the truly needy or fighting to restore funding to your local school system. Pick your battles wisely and take note of whether you are actually making yourself part of the solution. 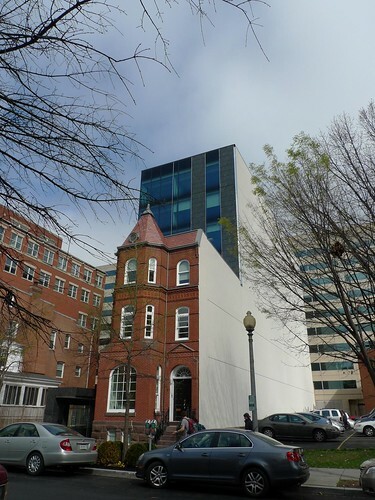 Facadism gone wild: a visit to Washington D.C. The image of Washington D.C. forged by television and film is usually confined to government buildings, the river, and monuments. Most people are familiar with the city’s low-rise skyline, dominated to this day by the stark white obelisk of the Washington Monument. Venturing into the city’s streets brought the great lengths the city’s preservationists have gone to to freeze architectural progress somewhere in the late 19th century into very clear focus. I can’t help but think it looks like a 100-something year-old building was extruded out of the front of a 1990s office building. The massive white property line wall certainly helps cement this image, however I’m not sure how much better it will look if another building is built next door. Upon doing more research, I discovered that the facades were originally part of a group of rowhouses known as “The Seven Buildings” that dated from the 1700s. President James Madison and his wife Dolley lived there from 1815 to 1817 while the White House was being rebuilt following the War of 1812. You can read more and see a photo of the historic plaque at The Grumpy Old Limey’s site. Posted on June 18, 2012 Categories America!, Architecture, travel1 Comment on Facadism gone wild: a visit to Washington D.C.
After “a simple organization and renovation techniques you can completely change the style and give a space a fresh and modern makeover.” The after photo has the hallmarks of a fashionable interior makeover: designer furniture, an accent wall, useless empty baskets on shelves, and a mysteriously cord-free computer (this was a big hit in the comments). Yes, it’s fresh. It’s modern. But what have we really accomplished here? Every last shred of personality has been stripped from the room. God forbid anyone have to look at family photos, or (even worse) books! While I might not have kept all of Granny’s furnishings, there is something wonderful about going into someone’s house and learning about him or her through the things on display. Hopefully Granny’s stuff was carefully put in boxes and it will slowly filter its way back into the office. 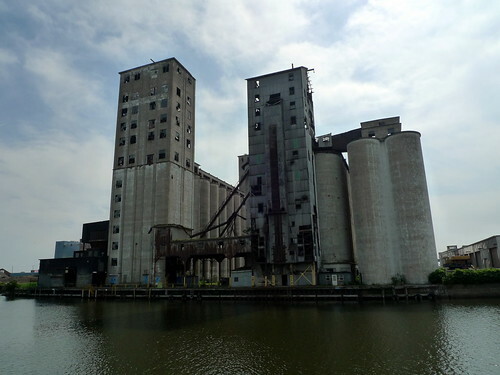 It’s been a few months now, but in July I had the chance to witness the destruction of one of Buffalo’s concrete grain elevators. 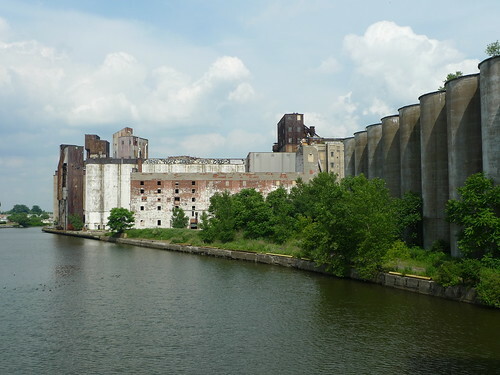 Written about 30 years ago by Reyner Banham, and in the early part of the 20th Century by Corbusier and other European Modernists, the grain elevators on the Buffalo River are one of the world’s most important intact architectural landscapes. While many are currently sitting unused, their solid construction allows them to maintain their imposing presence even as windows get broken and their metal fittings rust. 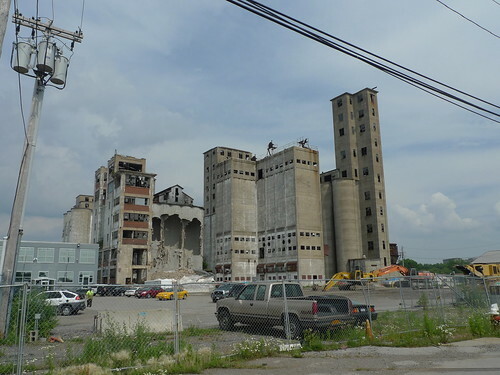 I was initially alerted to the demolition of one of Buffalo’s elevators via the National Trust for Historic Preservation’s website but it was shocking to see the demolition actually taking place. 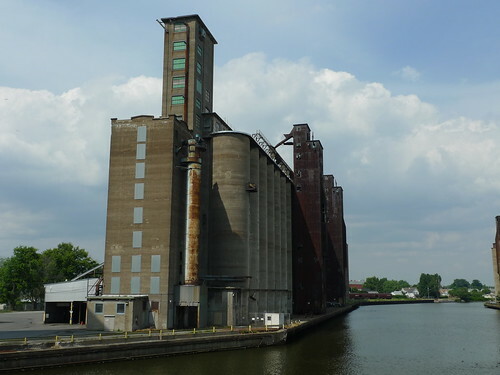 The silhouettes of these structures are so seemingly permanent on the Buffalo landscape it is nearly impossible to imagine them disappearing or being altered, even when I consider all of the other important buildings I saw demolished while living in Western New York. Seeing the gaping hole in the outer concrete wall of the building was a shock, knowing how quickly it was being demolished after standing on this site for 101 years. 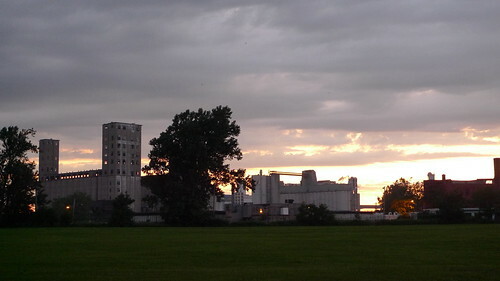 While the elevator complex being demolished is not the most architecturally significant of the structures that line the Buffalo River, the importance of the Buffalo elevators lies more in the complete http://buysoma.net landscape created by lining up a variety of these structures on a narrow river in the midst of an urban neighborhood. 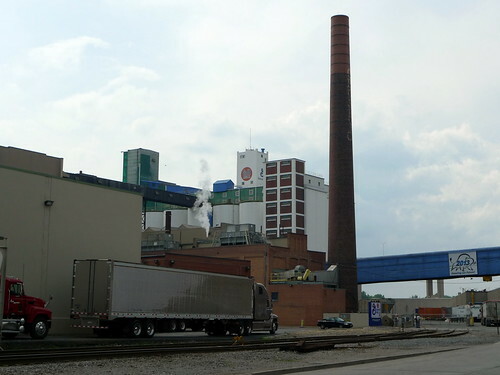 As buildings are demolished one at a time, the overall landscape is diminished- a landscape that is a testament to both the industry of the late 1800s and early 1900s and to the history of architecture. The elevators are not all empty, Cheerios are still manufactured here and Gold Medal Flour is still milled in the same building photographed by Erich Mendelsohn in 1924 (one of these is reproduced in Reynar Banham’s Concrete Atlantis). 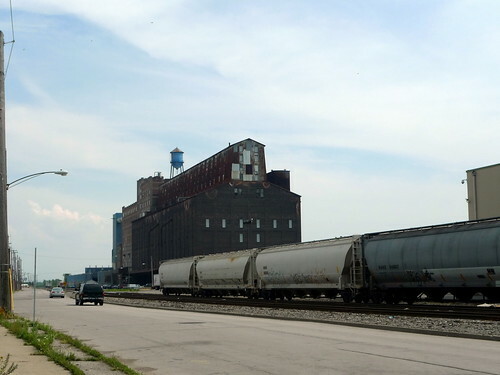 700+ foot-long lake freighters coming from the west still dock in this port and occasionally make their way through the sharp turns of the Buffalo river, yet the glory days are long over. In 1900 Buffalo was one of the ten busiest ports in the world, despite its inland location and the winter closure of its harbor each year. Now it’s the 28th-largest in the United States. 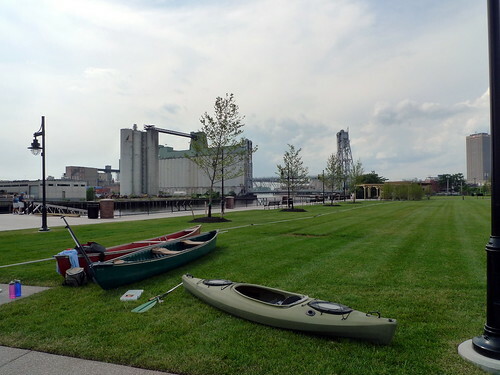 On a positive note, I did visit a new public park that has been created on formerly industrial land across the river from the under-demolition Wheeler Elevator. By allowing people to enjoy the river and encouraging urban kayaking and boating, I can only hope that the appreciation for this landscape grows in the general public or soon it will be too late. 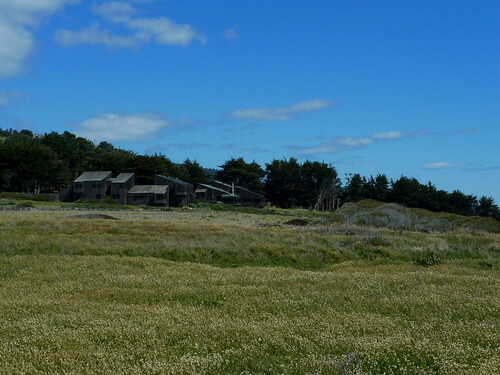 From there, it was further down the coast to the community of Sea Ranch. 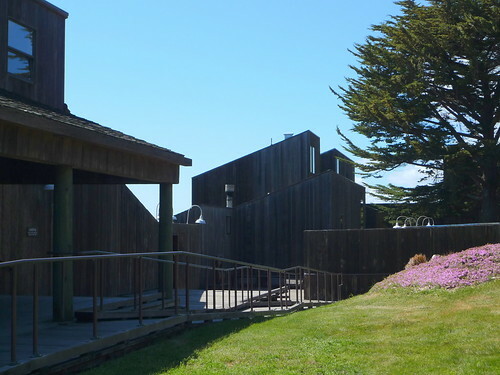 Laid out in the 1960s by the landscape architect Lawrence Halprin with buildings by architects including Charles Moore and Joseph Esherick, Sea Ranch is a pilgrimage site for San Francisco architects (and architectural tourists). 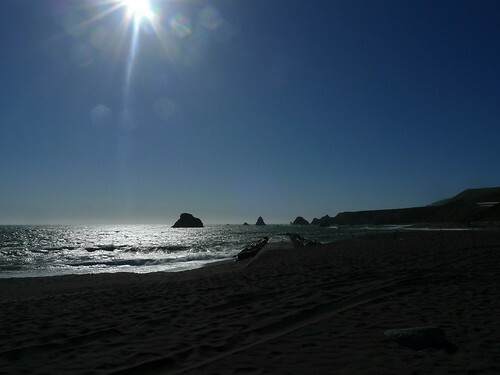 It is incredibly unwelcoming to visit if you are not staying there or on a tour, however. The roads are private and marked as such. 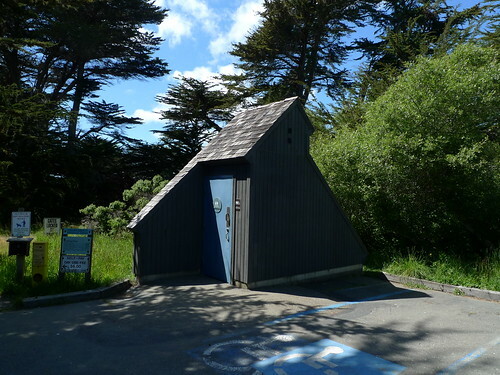 Our sorry-looking rented car with 120,000 miles on the clock (yes, really) would have been a dead giveaway that we didn’t own oceanfront property on the California coast so we stuck to the public ocean access trails and dropped into the Sea Ranch lodge. 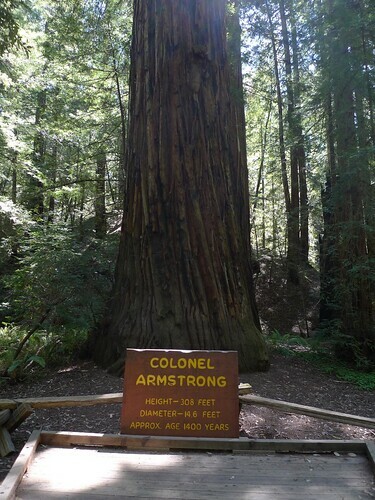 It’s a spectacular park and nowhere near as crowded as the parks closer to San Francisco (like Muir Woods). 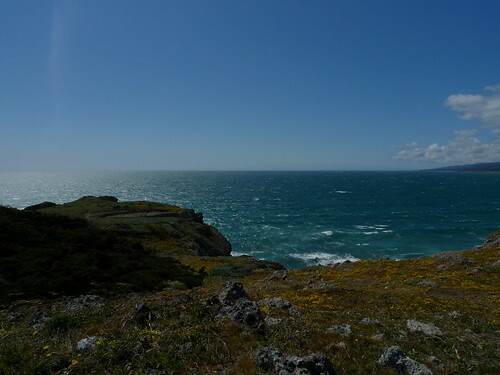 I assume it’s probably more heavily used on weekends or in the summer but if you’re in the area it is worth a visit.